This list is intended as a resource to job seekers only and is not an endorsement of the sites posted. A job search site’s inclusion on this list does not represent a recommendation by The Resume Template site. It is the job seekers responsibility to do all research and make their own decisions on using the websites listed. 1. Indeed.com – Called the world’s number one job site, Indeed.com gets over 150 million unique visitors every month from over 50 different countries. Indeed allows job seekers to search by location, job title, desired income, and much more. 2. Careerbuilder.com boasts over 24 million visitors each month and says that 92% of their employers are Fortune 1000 companies. 3. Monster.com – Over 200 million job seekers use the Monster network. Monster lists positions from companies from over 40 countries. 4. Snagajob.com specializes in finding employment for hourly workers. Click here to access FREE downloadable resume templates. 5. Simplyhired.com – Lists jobs in more than 970 official occupations, from 24 countries, and in 12 different languages. 6. Careerlink.com is a service offered by AIM (Applied Information Management Institute) , a not-for-profit community organization whose mission is to develop community through promoting technology. It strives to develop talent and interest in students, linking them to careers and ongoing career development. 7. Linkedin.com – This online professional network has over 300 million members in over 200 countries. Members can list their work experience, skills, and history, and connect to professionals that may help their job search be more productive and successful. 8. Linkup.com claims to be the fastest growing job search engine on the web. The site boasts over 2 million jobs from over 50,000 employer with listings updated daily. 9. Glassdoor.com lists over 6 million company reviews, interview reviews, salary reports, and CEO approval ratings. All the information is shared by current and former employees. Glassdoor also lists over 10 million jobs on their site. 10. Justjobs.com compiles job listings from other job sites, newspapers, associations, and company career pages. 11. Diversityworking.com promotes a diverse marketplace by promoting, attracting, and recruiting job seekers who are culturally diverse or underrepresented in today’s workforce. 12. Ziprecruiter.com allows job seekers to search hundreds of job boards and social networks with at once. 13. Employmentguide.com – Although the employment guide is a free print publication, it also posts job listings online. Over 430,000 copies of The Employment Guide are distributed weekly to over 10,000 locations nationwide in 23 markets in the U.S.
14. Employment911.com searches over 3 million jobs on over 300 major career sites and lists them on their site. The site also offers a free web-based email account, web-based calendar, and organizer. 15. Findarecruiter.com allows candidates to work directly with recruiters in a confidential environment. 16. Jobalot.com is committed to providing employment seekers a fast and easy way to find jobs from reputable companies in their specific career field. Their offerings include part-time and full-time positions. 17. Jobcircle.com users complete an online form to set up a free account, then receive job alerts and access to career tools. 18. Jobcritters.com allows twitter users to utilize the platform in their job search. The site also allows job seekers to create a twitter based resume. 19. Tweetmyjobs.com allows job seekers to connect with employers through social media by bringing jobs to the social web. 20. Jobsminer.com is a social media job search engine that crawls blogs, forums and social networks to find and post job opportunities. 21. Vault.com helps recent graduates and career changers enter the market. In addition to job listings, the site offers information on companies, schools, and industries, as well as career advice. 22. Aoljobs.com – In addition to listing job postings, AolJobs offers information and resources on interviewing, resume writing, and tips for older job seekers. 23. Beyond.com – Posts millions of jobs and has a network of over 500 talent communities that offer career advice, industry news, and shares resources. 24. Salary.com – While salary.com is known for providing salary information, job evaluation tools, and career development, it also has a job search site. 25. Payscale.com – Affiliated with indeed.com, in addition to offering salary and position information, PayScale also includes a job search engine. 26. 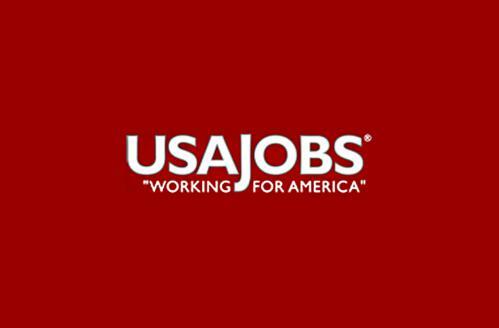 Usajobs.gov – This free, online job board is the government’s official source for federal employment opportunities. 27. Careeronestop.org – Sponsored by the U.S. Department of Labor, Careeronestop.org offers services including employment and training opportunities at the Department of Labor’s Job Centers across the country. The site also includes information that can help job seekers write their resumes, and opportunities for laid-off workers and veterans. 28. Vetjobs.com – VetJobs helps simplify the job search process for transitioning military, National Guard and veterans. VetJobs also claims to be the leading source for candidates with security clearances. 29. Crunchboard.com – Hosted by TechCrunch, a leading technology media property that reviews tech-based products and profiles startups, Crunchboard’s job board is one of the most popular sites for internet and tech-based jobs. 30. Journalismjobs.com lists journalism and media based jobs, and provides industry specific resources. JournalismJobs.com is the largest and most-visited resource for journalism jobs. 31. Dice.com focuses on tech jobs in six specialty areas: technology, security cleared professionals, financial services, energy, healthcare, and hospitality industries. 32. Mediabistro.com posts jobs from media companies throughout the communications industry. Job seekers can sign up to receive notifications when a job match is made. 33. 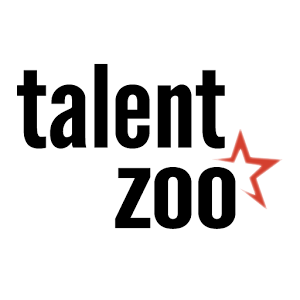 Talentzoo.com posts jobs in advertising, marketing, creative and tech. The site also features job search advice and resources. 34. Behance.net – Is an online portfolio site that allows project seeker to showcase & employers to discover creative work. 35. Mashable.com – Mashable posts about technology and social media trends, but it also posts weekly job openings in those areas. 36. Problogger.net – The site offers valuable information, tips, and resources to bloggers at all stages. The ProBlogger Job Board posts positions available to bloggers. 37. Elance.com is a portal for freelancers seeking projects. Elance posts over 25,000 jobs weekly, have over 500,000 companies actively hiring, and handle all project management paperwork and details. Elance makes money by adding an 8.75% service fee to the price quote the client sees. 38. Flexjobs.com – Is a site for job seekers looking for part-time, freelance, and flex-positions. The site has over 50 categories and its job listings range from entry-level to executive. 39. Internships.com touts itself as the world’s largest student-focused internship marketplace. And because 7 out of 10 internships turn into full-time jobs, the site is a great place for college students to begin their job search. 40. Collegerecruiter.com – College Recruiter is a niche job board for recent grads and currently enrolled college students to find entry-level jobs and internships. 41. Jibberjobber.com – A job search and networking site that helps job seekers manage their job search. The site offers both free and premium memberships. 42. Medicaljobs.org – In addition to job postings, MedicalJobs.org provides information on jobs in the medical field, allows visitors to compare medical careers, and also offers information on education necessary to enter various medical careers. 43. Ehealthcareers.com – The job search site for physician job seekers. Offers job seekers access to job alerts and job searching tools. 44. Healthcarejobsite.com – In addition to having a listing of over 500,00 healthcare jobs, the HealthcareJobSite offers resources and tools for individuals seeking jobs in healthcare. 45. 3rnet.org is a nonprofit organization whose goal is to create a “hub” for jobs in rural and undeserved areas of the U.S. In addition to job postings, the site also has a library of resources. 46. Nationjob.com – A community-based job network that works with employers, community leaders and chambers of commerce in the U.S. Utilizes a personal job scout to email new jobs to subscribers. 47. Healthjobsnationwide.com lists over 1.5 million healthcare jobs from over 90,000 medical facilities. Helps place physicians, nurses, therapists and other healthcare professionals. 48. Medzilla.com – This database of over 7,500 job postings and over 285,000 resumes assist job seekers in biotechnology, pharmaceutical, science, medicine and healthcare fields. 49. AOTA – Through OTJobLink.org, The American Occupational Therapy Association gives therapists access to top occupational therapy positions, both nationally and internationally. 50. 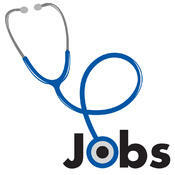 Hospitaljobsonline.com is a healthcare job board with over 50,000 listed healthcare jobs. The site also includes a specialty job board with 360 healthcare job titles. 51. Healthcarejobs.org – The site’s career center helps job seekers explore and find healthcare, medical, hospital, and nursing jobs. Click here to access FREE downloadable medical resume templates. 52. Opportunityknocks.org – Focused exclusively on the nonprofit job seeker, OpportunityKnocks is a national online job board and career development resource for the nonprofit community. 53. Idealist.org – With over 10,000 jobs listed, Idealist allows seekers to search for job and internship listings in the non-profit sector. 54. Powered by execSearches.com, Nonprofit-jobs.org allows organizations to locate and recruit mission-driven job seekers. Members create a confidential profile and execSearches communicate with members when a need for their skills arises. 55. Bridgespan.org – This nonprofit advisor group is a resource for mission-driven organizations and philanthropists. It hosts a nonprofit job board for individuals seeking positions in nonprofit and philanthropy. 56. CommonGood Careers is a mission-driven search firm committed to social impact. 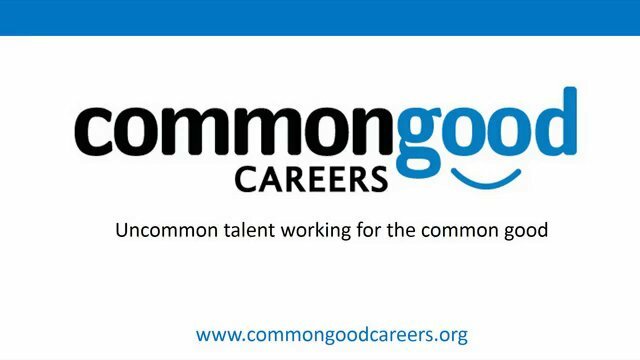 Commongood Careers support the hiring needs of organizations dedicated to tackling social problems. Job seekers can search and apply for positions on the company’s Get Hired page. 57. Foundationcenter.org/jobs – Foundation Center maintains a database of grant-makers and their grants. It also operates research, education, and training programs designed to advance knowledge of philanthropy. Through their online Foundation Directory, users can find information on 90,000 grant-makers. 58. The NonProfit Times is the leading business publication for nonprofit management. On their job page, Thenonprofittimes.com/jobs, they match job seekers with nonprofit organizations seeking talent. 59. Philanthropy.com – The Chronicle of Philanthropy is the number one news source for nonprofit leaders, fund raisers, and grant makers. Their job search page offers career news and advice, employer profiles, and searchable job postings. 60. Nonprofitoyster.com – Job seekers can search nonprofit jobs or create a free online profile that helps users manage their job search. 61. Execsearches.com – Both large and small nonprofits utilize ExecSearches.com to fill executive, mid-level and fundraising positions. The site has more than 75,000 active members and is free and confidential for job seekers. 62. Jobs.councilofnonprofits.org – The National Council of Nonprofits serves as a central coordinator to help nonprofits achieve a greater impact. Job seekers can sign up for a free account, post resumes and cover letters, and receive job alerts. 63. Dotorgjobs.com, published onPhilanthropy.com, lists jobs for non-profit, philanthropy and corporate social engagement professionals. 64. Jobsinlogistics.com posts jobs in Logistics, Supply Chain, Transportation, Freight Forwarding, 3PL, Distribution, and Purchasing and Manufacturing. Job seekers can register and post their resumes, receive job alerts, and get resume writing advice and assistance. 65. 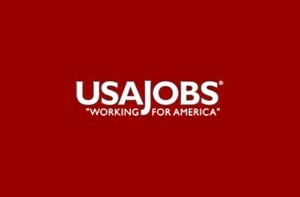 Dot.gov – The U.S. Department of Transportation posts national positions for those interested in employment with the agency. Job seekers can identify their agency of interest, search for current DOT job postings, and apply for positions through the website. 66. Manpower.us helps provide skilled employment and development opportunities for job seekers. Job seekers can search jobs online and create an account. 67. Tsa.gov – The Transportation Security Administration employs security officers, inspectors, air marshals, and managers, all charged with ensuring the safety of travelers. 68. Logisticsjobsite.com provides job postings and information on transportation and logistics career advancement and networking. 69. Transportation.jobs.net provides job listings and resources for transportation positions throughout the industry. 70. Truckdriverjobsinamerica.com – Helps heavy/tractor-trailer truck drivers with a CDL find truck driver jobs in transportation and logistics throughout the U.S.
71. Nationaltruckdrivingjobs.com posts hundreds of truck driving jobs throughout the U.S. Job seekers complete their online application and representatives contact them with qualifying jobs. 72. Findatruckingjob.com allows applicants seeking truck driving positions within the U.S. to submit one application and apply to multiple trucking jobs in one step. 73. Everytruckjob.com – A free service to help CDL truck drivers find employment. The site lists positions from over 1,200 truck driving companies throughout North America. Click here to access FREE downloadable transportation resume templates. 74. Hcareers.com is the recommended job board of the American Hotel & Lodging Association (AHLA), the National Restaurant Association (NRA), and the Canadian Restaurant and Foodservice Association (CRFA) along with many others, and posts thousands of hotel and hospitality jobs on its site. 75. Hospitalityonline.com is a recruiting platform for the hospitality industry. Job postings include resorts, hotels, and restaurants. 76. Restaurant.org/restaurant-careers – The National Restaurant Association offers resources and information for restaurant and foodservice employees on the career page of their website. 77. Poachedjobs.com – Job seekers in the food and beverage industry can sign up for free to review and apply for positions posted on the website. 78. Jobsonthemenu.com – This restaurant job board specializes in restaurant and food service corporate, management, and hourly jobs. 79. StarChefsJobFinder.com – The job search portal of StarChefs.com magazine, Starchefsjobfinder.com, claims to be the leading job board connecting culinary and hospitality professionals to careers in the foodservice industry. 80. Restauranthires.com features industry specific job postings for the restaurant, hospitality, and hotel industry. Search jobs by title, city, or state. 81. 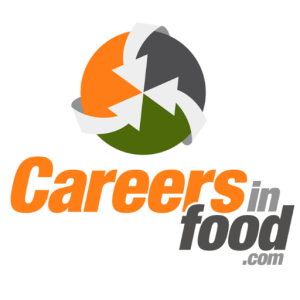 Careersinfood.com – Currently lists over 10,000 food and beverage manufacturing jobs garnered from over 650 of the top industry companies and recruiters. 82. CareersInGrocery.com – Job seekers can post their resumes and apply for positions listed from the top grocery industry recruiters and companies worldwide. 83. Culintro.com is a culinary trade organization with over 35,000 members. Their job board includes opportunities in major cities including New York, LA, and San Francisco. 84. Shiftgig.com helps connect job seekers and hiring managers connect with each other to fill temporary jobs on a shift-by-shift basis. 86. Hoteljobsnetwork.com – A subsidiary of Hotel Executive Placement, Hoteljobsnetwork has placed over 2500 hospitality executives over the past 30 years and posts current job openings in the hotel industry. 87. Jobsradar.com assembles available hotel positions from individual company websites, job boards, newspapers, and more, and combines them into a comprehensive industry job posting. 88. Hotelcareer.com allows job seekers to search and apply for hotel jobs by creating an online account. 89. Coolworks.com is a niche job board that helps users find seasonal and career jobs in great places. Click here to access FREE downloadable hotel and hospitality resume templates. 90. Allcruisejobs.com specializes in jobs on cruise lines and currently lists 925 cruise ship jobs from 61 recruiters. 91. Cruiseshipjob.com is the job search site of Seamax and assists candidates from all over the world with obtaining employment aboard cruise vessels. 92. Cruisejobfinder.com provides information and resources on employment within the cruise industry and allows users to search thousands of posted cruise jobs with cruise lines worldwide. 93. Cruiselinejob.com offers information on cruise industry jobs, salary ranges and employment contacts, as well as an online registration form. 94. Jobsgalore.com compiles a list of jobs from various career sites and job boards from across the web. 95. Jobmonkey.com – Lists seasonal or year-round jobs working for employers with unique opportunities to travel the world. 96. Flexjobs.com – This fee based site has one of the best reputations in the work from home industry and posts positions from over 50 categories ranging from part-time to flex-time. 97. Ratracerebellion.com – Founded by former training and development professionals, RatraceRebellion specializes in researching and posting legitimate work at home positions. 98. Task Rabbit is an errand outsourcer. Taskers submit to perform certain tasks from handyman to house cleaning. Task Rabbit finds clients and handles payments. 99. wahve.com – Work at Home Vintage Employees finds work at home opportunities for insurance industry “pretirees.” Opportunities can be full-time, part-time, and long or short term. 100. West at Home – West Corporation is the nation’s leading provider of outsourced communication solutions and employs thousands of home-based agents. 101. Convergys is provides customer management solutions for companies and employs work-from-home agents in several states including Alabama, Georgia, Pennsylvania and Washington. Disclaimer: The information contained in this blog post and on this website is for general information purposes only. The information is provided by The Resume Template Site and while we endeavor to keep the information up to date and correct, we make no representations or warranties of any kind, express or implied, about the completeness, accuracy, reliability, suitability or availability with respect to the website or the information, products, services, or related graphics contained on the website for any purpose. Any reliance you place on such information is therefore strictly at your own risk. In no event will we be liable for any loss or damage including without limitation, indirect or consequential loss or damage, or any loss or damage whatsoever arising from loss of data or profits arising out of, or in connection with, the use of this website. This site is meant to be a general resource and is NOT legal advice.